Smiggle is a funky stationary and school supply store that operates in Australia, New Zealand, Singapore and the United Kingdom. They offer their customers a loyalty program where they get a stamp for every $10 spent. When the customers have collected 14 stamps (in essence have spent $140), they will receive a free gift valued at approximately $15. As a bonus extra, they also run fun promotional competitions from time to time. The current competition gives kids the opportunity to print, decorate and take a photo of themselves with a Smiggle Safari Animal to win 1 of 6 Safari Prize Packs. Check our their website below for more information. For more information on Smiggle, visit their website. 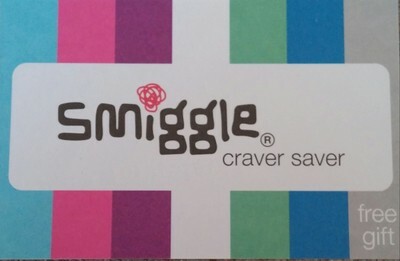 If you like unique, fun stationary and school supplies, why not visit your local Smiggle store and collect your 'Craver Saver' card? The gift at the moment is a kite valued at $25!! That sounds like a good loyalty card....what type of free gift do you get when you qualify for one.